We will keep this thread for the result updates and scorekeeping (one or two words?) and comments. 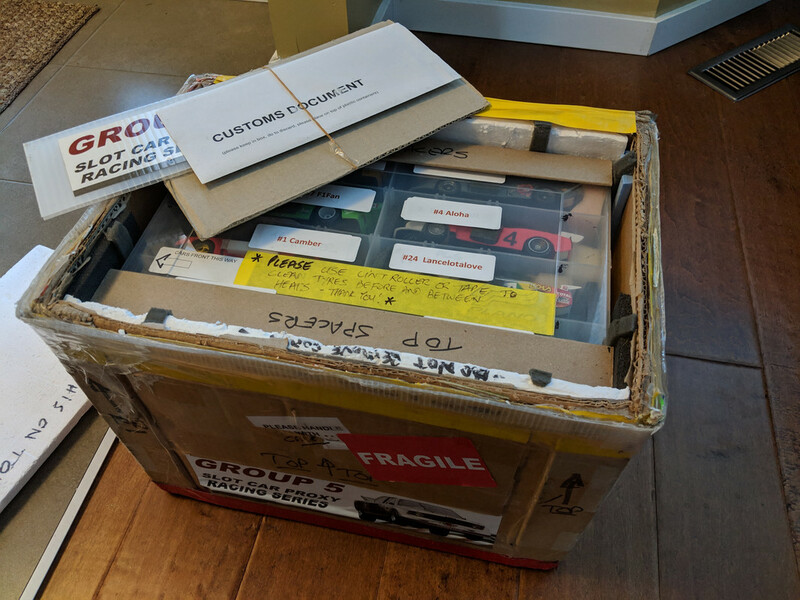 I was hoping to ship the box onward to Round 2 tomorrow, but it will have to wait until early next week, I still have to repack the cars and make sure the documents are in order. I think this is year 4 or 5 for our travel box, let's wish it another safe trip across North America! Looks like that box has clocked up a few thousand miles and tells some stories I bet. Results after round #1. 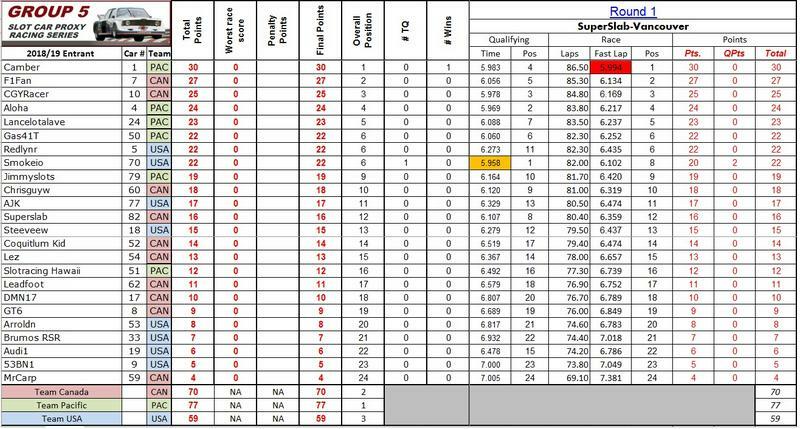 This is the thread we will be posting the official results and cumulative point scores after each round. Last edited by cgyracer; 12-24-2018, 08:47 AM. 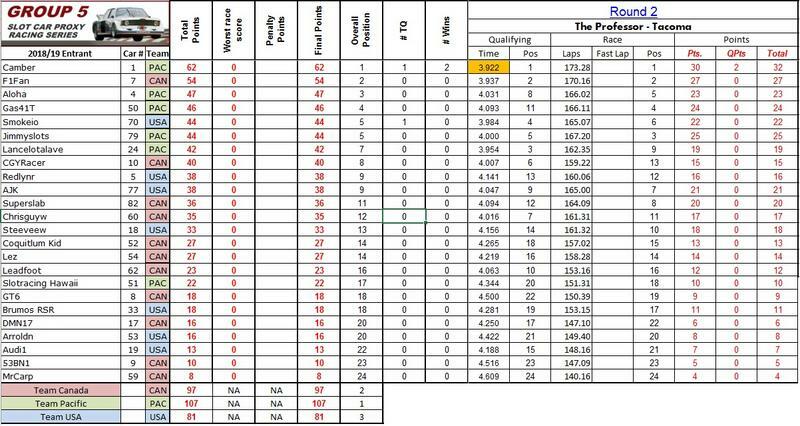 Overall points after two rounds posted. Congratulations to Team Pacific for their very strong placings this round. There is a lot of Pacific teammates up at the top! Congratulations to Cameron for his momentum and building up his lead overall with his second straight win.